Fitness market is filled with innumerable weight loss programs and if you are seriously aiming to lose weight you will have to research thoroughly before singing upon one. The program you choose should not deprive you from having food nor should it encourage you to have pills in the place of foods. Programs like Nutrisystem and Weight Watchers do not involve any of these weight loss gimmicks and have been helping people to lose weight in a healthy manner. Both programs follow healthy strategies to provide weight loss at a steady rate. However, when it comes to individual preferences, you will have to know which diet program is the best for you. Let us have a detailed discussion on the differences and similarities these programs have in offering weight loss solution to their respective followers. Nutrisystem has been in the weight loss field for more than 40 years. It delivers prepackaged foods to the dieters’ doorstep for 28 days. Nutrisystem has expert plans for belonging to both gender and different age groups. It also has specialized diet plans for people with type 2 diabetes, seniors and vegetarians. The gourmet meals of Nutrisystem involve both shelf stable and frozen foods which cross over 150 meal choices. The meals are essentially fortified with nutrients and are free of artificial additives. Besides, they are also portion controlled and are low in fat, sodium, carbs and sugar. The foods need not be refrigerated as they are shelf stable. Nutrisystem recommends its dieters to supplement their daily diet with fresh groceries like fruits and vegetables. Weight Watchers program asks you to consume meek quantity of all types of foods. Weight Watchers assigns points to each food and the dieters have to keep tab on the points they consume on a daily basis. The points might vary for individuals based on their age, gender, body weight and physical activity. The company organizes meetings on a weekly basis where the individual weight is checked and further suggestions are provided for improvisation. The company team shares various weight loss tips, success stores and addresses weight loss concerns in the meeting. Both the weight loss programs emphasize portion controlled eating and also limiting the calories consumption on daily basis. They encourage the dieters to have meals that are low in fat and rich in fiber. Both the programs do not require dieters to keep counting the calories daily which is a convenient feature especially for dieters who lead a busy work life. Following Nutrisystem or Weight Watchers, one can lose weight of about 1 to 2 lbs per week. Both programs encourage dieters to add fresh fruits and vegetables into the daily diet. Nutrisystem delivers freshly cooked and packaged diet foods through its standard plans and specialized plans to the dieters’ doorstep. 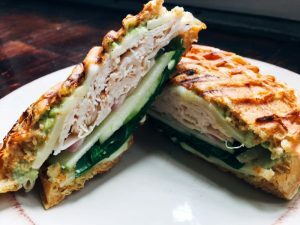 Weight Watchers do not provide meals to dieters and therefore dieters have to buy foods from grocery stores based on the recommendations by the program. The main strategy of Nutrisystem meal program is portion control. Dieters consuming these portion controlled meals were able to lose weight in an effective manner and in a short time. Weight Watchers only provides diet recipes which the dieters have to follow and cook on their own. Each food is assigned with a point and that has to be counted on a daily basis. 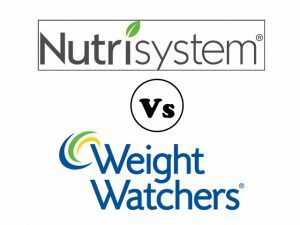 On subscribing to any of the diet plans of Nutrisystem, the dieters can place orders for meals online and receive foods on a monthly basis. Nutrisystem provides 5 or 6 meals to dieters inclusive of snacks and desserts. The foods are available in shelf stable and frozen forms and therefore refrigeration is not necessary. In Weight Watchers, the dieters have to keep adding the points assigned to the food they consume and also take part in the meetings conducted weekly to discuss about the progress. Nutrisystem D is designed for dieters having type 2 diabetes. This plan helps them to lose weight as well as control diabetes. No such specific programs are available in Weight Watchers. There is no joining fee for Nutrisystem. Weight Watchers program charges for meetings per week and it also asks for one time online subscription. Nutrisystem followers are encouraged to perform at least 30 minutes of workout daily. It also provides free workout DVDs with instructions though workout is not part of the diet program. Weight Watchers assigns points for activity also. Weight Loss Tracking Dieters get free access to online tools and trackers to measure the progress. The foods are calorie controlled so counting calories is not required Manual tracking has to be done by counting the food points consumed daily. The dieters should not exceed the allotted points for the day. Nutrisystem is the choice of many dieters for the various conveniences it offers. However, the above comparison table will help you decide your choice of diet program.